Have you gone on a diet to lose weight only to put weight back on again a few months later? 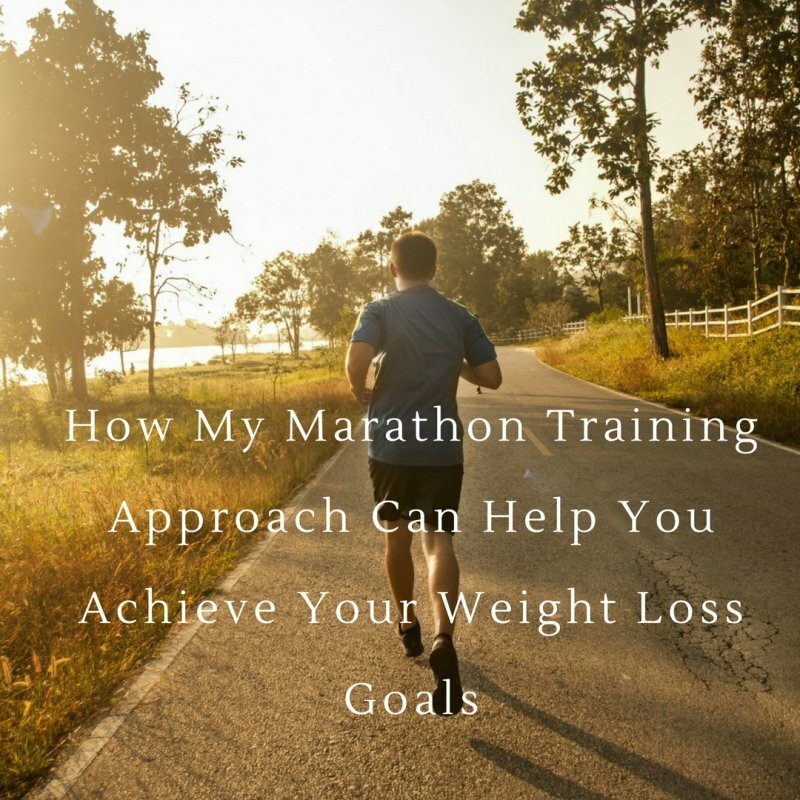 I believe the lessons I’ve learned through my 19 years of marathon training can help you lose weight and keep it off. I understand how tough it is because you’ve worked so hard and you feel like you’re back at square one again. I want to help you achieve your weight loss goals so you can feel happier, more confident and never have to worry about putting it back on again in the future. The journey towards achieving your weight loss goals is a magical one, especially if you get everything right. The same principles apply to running a marathon. Get the plan right and you’ll have a memorable experience, make a few errors and you could be left disappointed and have to try again. At the time of writing, I have 3 weeks to go until I run my 20th marathon in the Stirling Marathon where my goal is to run sub 3hrs 15mins in order to qualify for a Good For Age place for the London Marathon in 2019. I ran my first ever marathon in London in 1998 and would love to go back again by earning my place rather than go through the ballot. In order to achieve goals, it can be easy to step up training or cut back on food intake, which is understandable as that’s still a very big perception and what is commonly spoken about on social media and online articles however, great success can come from improving the little things that will make the biggest difference. This is a big one for me. I need to get good quality sleep in order to deliver quality coaching sessions to clients early morning and again in the evenings. Most people I work with don’t get enough sleep or they have broken sleep meaning they wake up at least once in the night. The value of sleep is often underestimated and poor sleep can lead to the body storing fat rather than burning it. This is because of the raise in the stress hormone cortisol which leads to an increase in appetite and desire for unhealthy foods. Try this: I would recommend getting 8 hours sleep and so counting back from when you need to get up to give you an idea of when to be in bed ready to sleep. Switch off tv/internet/social media/any blue light emitting device 30 minutes before that and either read a book or listen to soft music or try meditation to help you drift off to sleep. Our natural response to the goal of losing weight is usually to reduce our food intake or count calories however, this can lead to cutting out vital nutrients. When I’m doing my long runs, I will often burn over 2000 calories in each run and I have to be careful to replace them with the right nutrients rather than reach for whatever I can get my hands on. What you want to aim for is a balance between all food groups so you get plenty of protein, fats and carbs in rather than try to eliminate one group. You can have the odd treat, as I do, but try to keep sugar to a minimum and go for lots of vegetables and some fruit to get your carbs and you will get the energy without the spike and crash from sugar. Try this: Plan your meals in advance with good quality protein (fish eggs, lean meat, tofu, pulses, quinoa, nuts), fats (dairy, eggs, nuts, seeds, avocado, oily fish) and carbs (vegetables, fruit, rice) in each meal and snack on nuts and seeds or a piece of fruit. This will help you feel full and give you lots of energy throughout the day, especially when washed down with plenty water. Cut back on sugar, caffeine and alcohol as they will fuel any anxieties or stress and likely slow down your weight loss. Like sleep, rest is hugely valuable in helping us lose weight and for our health in general. When we exercise, we need rest periods to help our bodies recover and repair so they’re ready for the next session. When we rest, we also allow our minds to relax and so reduce stress. Additionally, when we exercise above a certain level of intensity or duration, our immune systems become depleted so we need rest to help restore and reduce the chances of us picking up colds and bugs. Try this: Always include a rest day between workouts or allow yourself some downtime. You don’t have to sit and do nothing and doing gentle mobility exercises along with getting out for a walk in the fresh air will help you recharge your batteries. When it comes to losing weight, we tend to focus on the outcome goal of the amount of weight we want to lose rather than the steps we take to get there. That’s a bit like me focusing solely on the marathon rather than the training plan. The most effective method that’s worked for my clients is to make a series of small changes, one at a time and focus on being consistent with each one. This method helps them lose weight easily without becoming overwhelmed by too much too soon. Try this: Do you have an event coming up that you would like to wear something nice for and feel really confident? Do you have something that you’d really love to do that you can’t do just now or feel self-conscious about trying? Think of something that has an emotional attachment as it will be easier to focus solely on and make the changes required in order to help you achieve it. A journey towards a weight loss goal, like a marathon, can seem hard from the outset but when you break it down and focus on getting all the elements right then it doesn’t seem so arduous and the results you begin to notice along the way can give you confidence knowing that what you’re doing is working. What small steps are you going to take right now that will help you get better weight loss results?